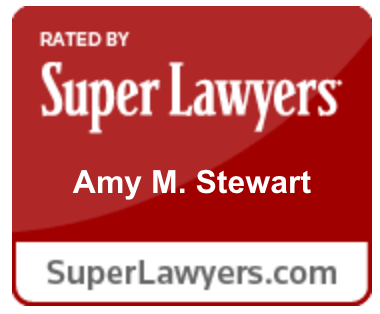 Amy has expertise in resolving contract disputes, business torts, investigations, products liability, employment, and labor matters. 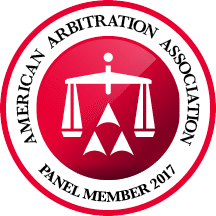 In addition to her civil trial experience, Amy is a certified Arbitrator with FINRA and the American Arbitration Association where she presides over commercial, construction, and employment disputes. Based on her experience building winning teams, she has an innate ability to connect with clients. By listening to her clients, Amy identifies and understands the critical success factors before developing a game plan—what does a “win” look like for this legal dispute. Relying on her professional and athletic experiences, Amy develops a strategy to meet her client’s objectives in the most efficient way possible. She never gives up on meeting her client’s objectives and uses her intellect and intuition to alter the game plan when issues arise. You can contact Amy directly at 469.607.2311 or by email at astewart@stewartlawgrp.com. Represents international food service provider in employment related arbitrations across the country. Defended major retailer in premise liability and negligence matter which was successfully resolved through mediation. Defended national manufacturer in multi-million dollar property damage and personal injury lawsuit in Virginia. Defended international chemical manufacturer in multi-million dollar property damage and personal injury lawsuits in Minnesota and South Carolina. Represented international chemical manufacturer in a fiduciary duty and negligence action against former legal counsel. Represented national window manufacturer against property damage and personal injury claims. Represents national retailers in premise liability and negligence actions. Represents insurers and insureds against personal injury lawsuits. Represented regional bank in lawsuit arising from fraud and breach of fiduciary duty related claims from flood damage insurance coverage to real property. Represented international manufacturer of truck tractor engines in several wrongful death actions in federal and state courts across Texas. Represented various financial institutions in wrongful foreclosure and breach of promissory note actions. Most matters were resolved via motions for summary judgment or alternative dispute resolution. Represented Fortune 500 food industry clients in cases involving claims of sexual harassment, race, national origin, and disability discrimination with successful outcomes.